Websites critical of the Church love to tell the story of one Thomas Stuart Ferguson, an archaeologist who spent years trying to prove the Book of Mormon was true only to be ultimately disappointed, reaching the conclusion that the Book of Mormon could not possibly be true history. Or, so the story goes, in a nutshell. There are a lot of problems with the way the critics like to tell the story. For one, it should be born in mind that Ferguson was not a professional archaeologist, and that he did not have advanced training in the matter. He was at best an amateur archaeologist with enough passion and enthusiasm to establish the New World Archaeological Foundation. Also, while there can be little doubt that he did lose his faith at one point, stories from close family and friends suggest that toward the end of his life he may have regained his faith. But I’m not really going to make a fuss about that right now. I am more interested in talking about why critics tell the story in the first place. The problem with this agenda-driven narrative is it ignores the lives of countless others, like M. Wells Jakeman (deceased), Gareth Lowe (deceased), Bruce W. Warren (deceased), John L. Sorenson, John E. Clark, V. Garth Norman, F. Richard Hauck, Brant A. Gardner, Mark Alan Wright, Allen J. Christensen, and Joseph L. Allen. These 11 individuals all have 3 things in common: (1) They each have advanced degrees that in some way focused or emphasized pre-Columbian Mesoamerica; (2) They each have participated in on-site research at archaeological sites in Mesoamerica; (3) They all believe the Book of Mormon is true and has some basis in Mesoamerican history. There are others who have those same 3 things in common with the above individuals, but I have chosen to limit my list to people who have publicly made their views clear by having published on the topic. Of course, just because I can rattle off a long list of such individuals does not mean that the Book of Mormon is true, and I want to be clear that is not what I am arguing. But surely what they think about the Book of Mormon is at least as relevant as Thomas Stuart Ferguson’s ultimate stance on the matter, if not more so. They all are more qualified than Ferguson, and most of them have spent much more time than Ferguson ever did thinking about how the Book of Mormon fits into the larger picture of Mesoamerica. John L. Sorenson, for instance, just published a lengthy volume summing up some 60+ years of research on the topic. More to the point, however, these people directly undo the agenda-driven narrative of the critics. As it turns out, it is not inevitable that if you seriously investigate this you will come up empty handed and lose your faith. They all believe in the Book of Mormon, and they insist that there is evidence which supports that belief. What’s more, many of them demonstrate a more sophisticated understanding of the limitations of archeology and thus have more tempered expectations of what kind of evidence it can produce. Those (on this list) who knew Ferguson have reported that he had rather naïve expectations of archaeology and evidence. There are a few questions worth asking at this point. Why is the story of a single, amateur archaeologist worthy of constant retelling, but those of 11 persons with relevant training and field experience not even worthy of acknowledgement? If the loosing of faith is inevitable for those who honestly look at the evidence (or lack thereof), why is it that those in the best position to know what the evidence is continue to believe? Why aren’t there more stories like that of Ferguson’s among LDS archaeologists? Is it honest of critics to use the story of Ferguson while not mentioning these others, and often ignoring the large body of work they have assembled on the subject? None of this is to say that the work of all of these individuals is rock solid and proves the Book of Mormon true—it doesn’t, and let’s just say the quality of their work is “uneven” (though most of it is certainly of better quality than any of Ferguson’s work.) But the point I am trying to make is about qualifications, not quality. And, I want to stress again, that I am not saying that because these 11 people say the Book of Mormon is true, it therefore is. That would be the fallacy of authority. The truth (or falseness) of the book is just as independent of their opinions as it is from Ferguson’s. But that they do believe ought to give those who are confident of its falseness a bit of a pause – what do these experts, who probably know more about both Mesoamerica and the Book of Mormon than you or I – know that gives them cause to believe? You can get a taste of that by reading their published works on the topic. Their lives and their lifeworks make it abundantly evident that we need not go down the path of Ferguson. If they have cause to believe, then surely we can too. The agenda-driven narrative of the critics simply is not true. You should listen the the Micael Coe Mormon Stories podcast, he is a Mesoamerican expert from Yale. I did listen to that podcast, and was not particularly impressed. Coe certainly is an expert on the Maya, but his grasp on the Book of Mormon is superficial, at best, and his awareness (and understanding) of LDS scholarship on the subject is abysmal. He clearly hasn't really updated his views since the 1970s when he wrote his article for Dialogue. Of course, the most substantive work on the subject by LDS scholars started in the 1980s. Coe simply doesn't engage this work, at all. I would love to see a mainstream, non-LDS scholar of Mesoamerica engage the work LDS scholars have been doing and see what they think (even if it is very critical). Coe's interview, unfortunately, was not that. Yes, I wonder why they don't engage? Your argument about the opinion or belief of the 11 LDS experts could certainly be applied to the opposite point of view as well. Just what is it that you think my argument is? I took pains to point out (twice!) that I am *NOT* saying that the Book of Mormon is true simply because these people believe in the Book of Mormon. My simple point is that, contra narratives that appeal to Thomas Stuart Ferguson, having intimate knowledge of the pre-Columbian Mesoamerica does not inevitably lead to disbelief in the Book of Mormon. The 11 LDS experts I have appealed to are simply the evidence that you can, in fact, have a great deal of expertise in Mesoamerica and still believe in the Book of Mormon. It is certainly true that this argument can be applied in the opposite point of view; having expertise in Mesoamerica does not inevitably lead one to except the Book of Mormon. But no one is saying that it does, so what would be the point of such an argument? "Yes, I wonder why they don't engage?" If I had to guess (I'm not a mind reader, and, unlike some people on certain ex-Mormon message boards, don't pretend to be), I would say it's because they probably just don't care enough. Like Neal, I wish they would pay more attention, but given the fact that this sort of stuff really has limited appeal (even in the Church) I doubt we'll see thorough treatments by non-Mormon scholars. That being said, I do know of some non-Mormon scholars who have indicated their interest and positive impressions with Mormon scholarship. Ultimately, though, that doesn't really matter. Even if every single non-Mormon scholar in the world just ignored LDS scholarship, that wouldn't say anything about the quality of Mormon scholarship. What matters is if the arguments being put forth by Mormon scholars have any backing from the evidence. Irony: "If they have cause to believe, then surely we can too." Appeal to authority fallacy, just like the one you are trying to debunk. There is a big difference between saying that we *can* find "cause to believe" because these folks have, and they know the subject better than we do, and saying that the Book of Mormon *must* be "true" because said experts say so. The second is a fallacious appeal to authority, and is something I very explicitly said I was *not* arguing (and I did so twice). The first is not, as it *inductive*, whereas the fallacy is when authority is used in a *deductive* argument, as the second example is. There are fallacious and non-fallacious uses of pretty much every form of argument. I suggest you learn the difference. Interesting. In my 41 years of Mormonism/Post Mormonism, I've never heard of this guy. I've also never heard of anyone using it to reason that the Book of Mormon isn't true (especially not the only reason). I'm not sure why, but maybe the story isn't terribly pervasive. Also, It's strange to me that people focus their attention on Mesoamerica when Joseph Smith made it abundantly clear that the Book of Mormon took place in the Midwestern USA. The Mesoamerica explanations all require pretzel twisting to explain things like the Hill Cumorah and the bones of Zelph. My experience with LDS scholarly work is mostly restricted to biology. If Scott Woodward's spin on DNA is anything akin to these archeologists work, then I'd say there's a problem. Scott bowed his scientific knowledge and understanding in order to make claims about DNA that simply aren't true. He works for BYU. He's in a precarious position if he speaks out against what is considered truth within the church. But, I'm not familiar enough with the study of archeology and these findings to make any kind of statement about it. 2. How, exactly, did Woodward spin the DNA issue? Specifics, please. Also, I find it highly distasteful to immediately ascribe malice or dishonesty to someone just because you disagree with them. This idea that Mormon scholar so-and-so who works for BYU must just be lying to save his or her job is repeated all the time by disgruntled ex-Mos, but I see little evidence for it. (And I say this as one who has gotten to know a number of BYU professors, including Mark Wright above, rather well in my course of working for them.) It's a nice rhetorical trick that tries to distract people from the real issues being discussed, but nothing more. I agree with your point - put very simply to say that because Thomas Ferguson does not believe the Book of Mormon to be true, therefore the Book of Mormon is not true commits a logical fallacy called "Appeal to Authority". You then effectively illustrate by counter example why Appeal to Authority is a logical fallacy. Straw Man Argument: I've never once see a critic of the church use the argument "Thomas Ferguson" doesn't believe, therefore the BoM is false. You are creating and arguing a false argument that no one actually believes or uses. It's a nice trick to claim a victory and make the other side look ridiculous, but it’s a rather hollow victory. Red Herring: You are making an argument that is beside the point. Rather than look at the significant archeological concerns listed in Ferguson's book, you argue an immaterial point regarding appeal to authority - a sleight of hand away from the real issues. Perhaps you could answer a single question for me. What is the purpose in telling and retelling the story of Thomas Stuart Ferguson? That is what I am driving at with this blogpost. Why is the story told? It seems to me that you have created your own straw man here. Notice that I never said that critics argue " 'Thomas Ferguson' doesn't believe, therefore the BoM is false." I did point out that the truth of BoM is independent of what TSF thinks. And because that is true, I questioned the relevancy of bringing TSF up in the first place. I subsequently gave an answer. The story of TSF has nothing to do with making an argument at all, it has to do with narrative. It is a story used to sell a particular narrative. In doing so, of course, they don't explicitly state the conclusion that want you to reach. That would be poor narrative strategy. But they tell the story in just such away as to give the *impression* that his end is the inevitable end. Don't believe me? Well, Google him and read a few critical websites. If you don't honestly think that it the purpose of telling that story, then you answer my question: why *do* they tell the story? If you think I have gotten their narrative strategy wrong, well then I would love to hear why. After all, that is the actual point of this blog post. As for a red herring, the TSF story itself is a red herring. It is a distraction. One particular website has, as their entire "Archaeology" sub-section on the Book of Mormon the story of TSF and another prominent exMo, with some editorial framing before and after. It never actually engages questions about the Book of Mormon and archaeology. Now if that is not a red herring, then I don't know what is. Of course there are "real issues" that need to be addressed and discussed. And if I set it this blogpost up like I intended to address some of those and then didn't, your accusation of red herring might have some merit. But I didn't. The purpose of this blogpost is meant to discuss narrative strategy, something the very title of the post should make evident. The real issues should be, and are being discussed. I have discussed some in other blogposts, I will likely discuss others in the future. I have given plenty of them serious thought, and hope that I can get those thoughts out there one day. But, as any publicist will tell you, the facts aren't nearly as important as the narrative. So, apologist like myself can't just spend all our time on the facts and leave the narrative to you and other critics. We are allowed to (and we are going to) examine, and deconstruct the narratives and other rhetorical strategies employed by the critics--and expose their own slight of hands--and there is nothing fallacious about doing so. Well, sorry, but that is not going to happen. I agree that what the LDS scholars you mention think about the Book of Mormon is as relevant as Thomas Stuart Ferguson’s ultimate stance on the matter, but not more so. In the academic world, the only things that counts are publications in peer-reviewed scholarly journals. As long as LDS scholars don't publish about the BoM in established scholarly journals, their opinions and beliefs about the BoM, however well informed or researched, are just that: opinions and beliefs. Well, now, I may be overly idealistic, but I always thought the most important thing was what the evidence actually suggested? Of course, peer-review is an important tool for guiding research, but it is not some sort of magical process that turns "opinions and beliefs" into facts. After peer-review and publication, the things put out there by scholars are still opinions and beliefs. But both before and after peer-review, they are opinions and beliefs based on some sort of data or evidence. In disputing those opinions and beliefs (and plenty of peer-reviewed ideas are continually in dispute), one ought to engage set of data being employed as evidence. The evidence supports the ideas, not the peer-review. Good and bad ideas have been approved of through peer-review; and good and bad ideas have been rejected by peer-review. But, if you want to hold peer-review up as the ultimate gatekeeper, well, it bears pointing out that there is peer-review to the journals Mormon's publish in. And I could point to all kinds of examples of Mormon work directly relevant to the issues that was published by major journals and academic presses. John Tvedtnes, for example, just had two articles on Hebrew in the Book of Mormon published in the Encyclopedia of Hebrew Langauge and Lingustics, published by Brill. Matt Roper and several co-authors had study on BoM wordprints published in Literary and Linguistic Computing, a journal sponsored by Oxford. John W. Welch edited a volume on chiasmus, which included a paper by him on chiasmus in the Book of Mormon, that was published by a major academic press in Europe. He also has a volume on the Sermon on the Mount, which uses arguments he developed while studying the replica Sermon in the BoM, published by an independent academic press in England. Warren Aston presented on the NHM tribe, and mentioned the Book of Mormon connection, at Cambridge University. (It is not a publication, but a presentation at conference sponsered by one of the most prestigious universities in the world surely counts for something.) I could go on. But who peer-reviewed Simon Southerton's work on DNA and the Book of Mormon? Who peer-reviewed Vernal Holley's and the other various books proposing alternative theories for the Book of Mormon? Who peer-reviewed MormonThink's hodgepodge of amateur essays? What major scholarly journals have published anything from Grant Palmer? I think you see my point. I don't bring any of this up to "prove" we are right and critics are wrong. You are the one who brought up peer-review. If you want to play the peer-review game, the "apologist" have the edge over the "critics", and substantially so. All you have done is shifted from one appeal to authority to another; one narrative to another (about peer-review and how LDS scholars work supposedly doesn't matter because it isn't peer-reviewed). That said, I certainly agree that what they say are just opinions and beliefs. But they are opinions I tend to think ought to be taken pretty seriously. 8 out of the 11 authorities you mention work directly for the LDS Church through BYU. 2 more work for businesses that rely on people believing the Book of Mormon is an actual historical account. In other words, 10 out of the 11 people you listed loose their jobs if people realize the BoM isn't true! That "10 out of the 11... loose their jobs if people realize the BoM isn't true"...isn't true. 3 are deceased, but expressed belief in the Book of Mormon even after retirement, when there was no job to lose. Sorenson is retired, and therefore has no job to loose, and yet has recently published his most extensive treatise on the topic yet. And, per a personal communication with his son (who was involved with the production of Mormon's Codex), he is not collecting substantive royalties on the book, so any claim that he is financially motivated frankly falls flat. The archaeological foundations run by Hauck and Norman are involved in professional archaeological digs unrelated to the Book of Mormon. Given that Hauck has not published on the Book of Mormon since the late '80s, and Norman's work is basically self-published and therefore rather obscure, I doubt that their work related to the the Book of Mormon has been very profitable. As for those who work at BYU (Wright, Clark, Christensen), well, BYU professors don't have to publish on the Book of Mormon. But that is something they are free to do, if the wish, which is not necessarily true of professors in other places. One LDS scholar has worked professionally as an archaeologist in Mesoamerica for decades and believes the Book of Mormon is true, but has never published on it because of the institutions he worked for. He recently took a job at BYU and plans to begin publishing on the BoM. The only one that I think you could plausibly argue is financially dependent on the Book of Mormon being true is Allen. His books are published by one of the larger Mormon presses (Covenant Communications), and he and his sons operate guided "Book of Mormon" tours through his company. Of course, there is always the question, why should we assume that these people only promote the BoM as true for the sake of money? Could it possibly be, instead, that they really believed the Book of Mormon was true, loved to study it in the real world context of Mesoamerica, and so pursued job opportunities that would allow them to research and publish on the topic? (Like the LDS scholar I mentioned in the previous paragraph?) You wouldn't doubt, say, an Evolutionary biologist on evolution simply because their line of work depends on evolution being true, would you? Odds are that biologist pursued that job because it was what they loved to do, and I see no reason to assume that these 11 men were any different. All of that, however, is rather irrelevant. My issue is not with having an "agenda", since I believe everyone has one. 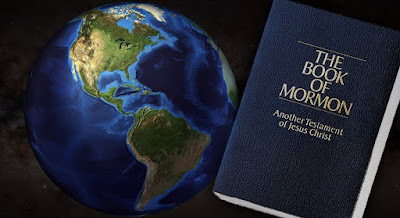 My agenda in this blogpost, for example, is NOT, as you and many others seem to have mistakenly assumed, to argue that the Book of Mormon is true, or that because these people are experts we should assume that they are right, or that everyone with a PhD related to Mesoamerica can see that the Book of Mormon is true. My agenda is to expose the deceptive narrative strategy being used by many, many critics of the Book of Mormon, and that is my issue: deceptive narrative strategies used to promote agendas, not agendas themselves. To present Thomas Stuart Ferguson as an authority without mentioning the numerous other authorities who never lost their testimonies, and who are, in fact, more properly "authorities" than Ferguson anyway, is deceptive. I never said, or implied that these people were objective. I only said that they had three things in common, which make them, so far as I am concerned, at least as relevant as TSF (which is, in my opinion, not especially relevant, except to the point of exposing the deceptive narrative strategy). That they work for BYU, etc. is entirely irrelevant to the issue of whether or not they are more qualified, and therefore as relevant if not more so, than TSF.